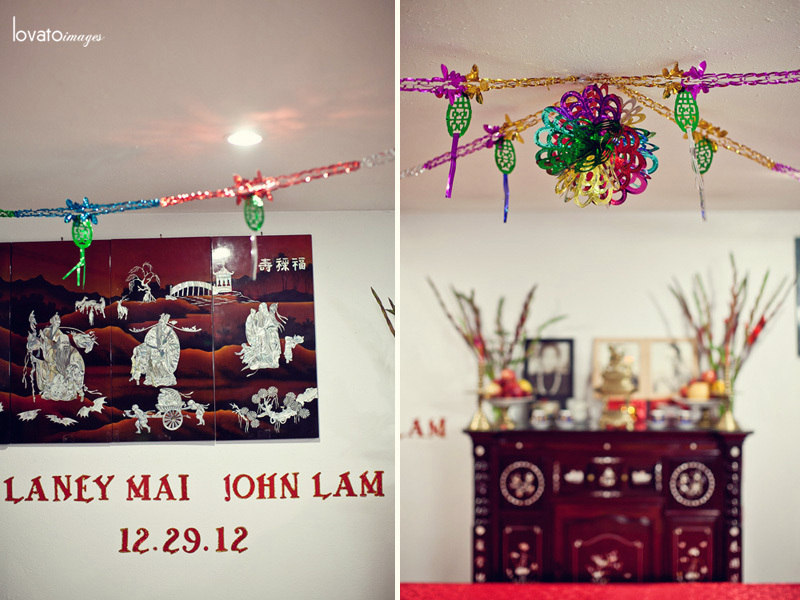 When Laney and John booked me for their Vietnamese engagement ceremony last month, I got super excited. 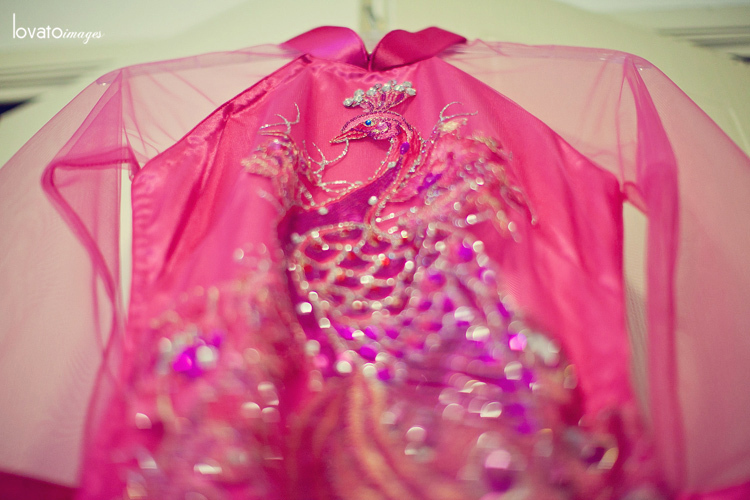 I love different cultures and customs and symbolism and the intimate events around which they are wrapped. In Vietnamese culture, it is tradition for the man’s family to arrange a tea ceremony for him to propose to his bride to be. The families get together at the bride’s family home where the groom and his family arrive bearing gifts that include jewelry, cakes, betel leaves, areca nuts, wine, fruit, cake, and tea. All of the gifts are presented on trays adorned in red which symbolizes good luck and fortune. The bride’s family has the ancestor’s altar set up with fruits, tea and incense sticks so the young couple can pray for benediction. The families introduce themselves and share tea and wine, symbolizing their approval. Next, the bride is escorted in and the groom proposes. When Laney was brought downstairs, the room buzzed in excitement. John delicately placed the ring on her finger and the engagement was complete. It was a beautiful event to celebrate ancestral ties and blessings and a rich history, thick with support and love. Congratulations, Laney and John! Excited for you!